Growing up in a region of El Salvador where revolutionaries and the army were battling for control, Pablo Alvarado saw his fifth-grade teacher murdered by a death squad. At the age of ten he volunteered with his brother to teach adults in their rural village to read and write. He continued to teach and study for his university degree until his family received death threats, forcing him to flee to the United States along with his brother. Joining thousands of Mexican and Central American refugees looking for odd jobs at low pay on the street corners of Los Angeles, Pablo soon began to teach reading again, first at the East LA YMCA and then with the Institute of Popular Education for Southern California. He also encouraged his fellow day laborers to stand up for their rights.When the city of Pasadena was considering an ordinance to prohibit day laborers from seeking work on the street, Pablo organized his co-workers to defeat it. He negotiated the establishment of a hiring center with a variety of support services. There, Pablo and his fellow workers set standards for minimum wages and fair working conditions and helped to enforce other rules. In 1997, street-corner committees throughout LA sent delegates to a conference to begin to write by-laws and principles for a Day Labor Union. 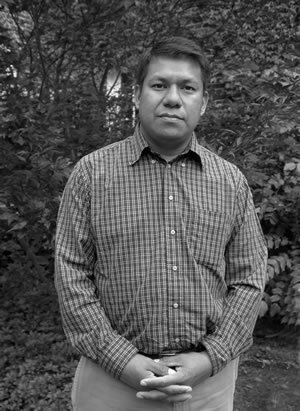 As a lead organizer of the Day Labor Project of the Coalition for Humane Immigrant Rights in LA, Pablo worked with the Mexican American Legal Defense and Education Fund to defeat anti-day labor ordinances in LA County and numerous other California cities. As a guitarist in the day-laborers’ band, Pablo forged solidarity among immigrant workers. At the same time, he used his diplomatic skills to overcome the organized resistance of law enforcement, resident and business groups. To personalize the day laborers and their cause, Pablo’s organized teams of workers participated in local clean-up and graffiti-removal campaigns, food drives and reforestation efforts. As public opinion shifted from hostility to active support, Pablo and his colleagues established eight innovative day labor centers with English language classes, vegetable gardens, a theater group, even a 15-team soccer league. “Through organizing on a local level,” Pablo says, “workers learn to become good political analysts. They grow and start to influence others. We see day laborers as people who are capable of acting for themselves.” With characteristic modesty, he attributes the success of his movement to his colleagues and fellow workers. That success has inspired him to begin the even more difficult task of creating a National Day Labor Organizing Network to narrow the gap between undocumented workers and organized labor throughout the United States.